American Standard earned two prestigious 2018 GOOD DESIGN Awards in the kitchen and bath categories for design innovation and excellence. These awards are presented by the Chicago Athenaeum Museum of Architecture and Design in cooperation with the European Centre for Architecture, Art, Design and Urban Studies. 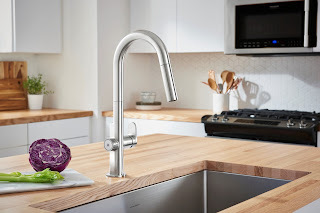 Beale MeasureFill Touch kitchen faucet (pictured) - this faucet delivers an adjustable set volume of water on demand, ranging from a half cup up to five cups. Consumers now get the precise measurement faster than using conventional measuring cups, and in turn, streamline their cooking and baking tasks. Also, the easy touch on/off feature is ideal for full or dirty hands – so a touch of the wrist or back of the hand is all it takes to operate this faucet. Studio S Bath Faucet Collection - a collection of stylish bathroom sink faucets, bath/shower faucets, and accessories. 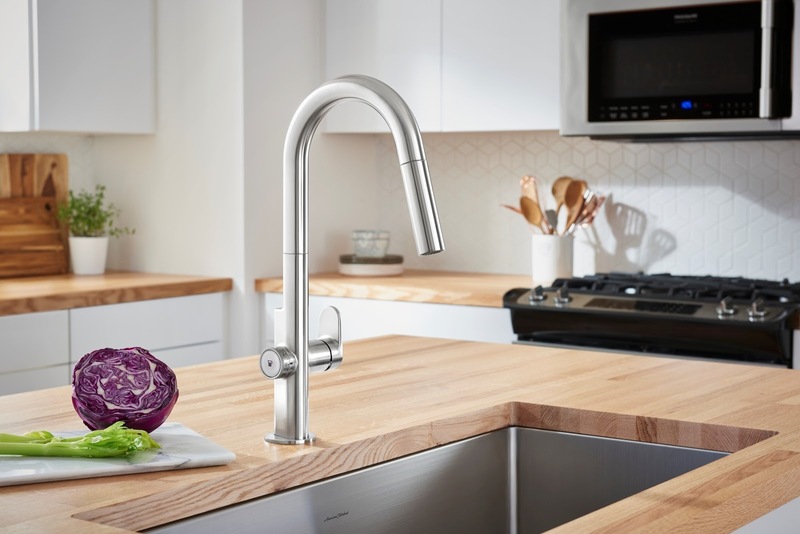 Specifically designed to be a time-saver to install, the Studio S sink faucets incorporate the Speed Connect Drain, a pre-assembled system that won’t need adjusting now or years down the road. The shower faucets in this collection feature TRIMendous universal valve technology, making it simple for consumers to change the trim after installation without having to rip out their tile.